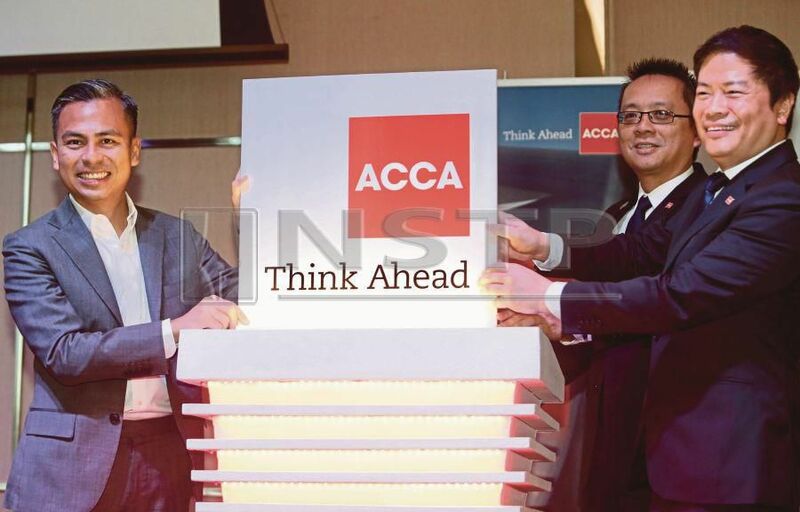 THE Association of Chartered Certified Accountants (ACCA) Malaysia recently launched two programmes for the younger generation in the accounting and finance industry. They are the ACCA Student Ambassadors’ Programme and ACCA Young Members’ Network Programme, which were launched by Lembah Pantai Member of Parliament Fahmi Fadzil. The ACCA Student Ambassadors Programme is a platform for accounting students to connect and be mentored by young ACCA members, whereas the ACCA Young Members’ Network Programme is designed for those below age 40 to spearhead the engagement and advocacy of ACCA students and affiliates in Malaysia. Fahmi said it was important for students to connect with professional accountants to give them ideas on how working in the industry is like. Present were ACCA Malaysia country head Edward Ling and ACCA global council member Datuk Lock Peng Kuan. Welcoming the first cohort of 90 ACCA Student Ambassadors, Ling said ACCA is a passport to becoming a global finance professional. Ling said there are 15,000 ACCA members in Malaysia and more than 62 per cent of them are below 40 years old. “This is the key reason that has spurred us to set up the ACCA Young Members’ Network — to engage, inspire, support and contribute towards career development of young ACCA members. “I encourage you to learn as much as you can from this opportunity you have to connect and engage with our ACCA Young Members’ Network. “The ACCA Young Members’ Network seeks to create a strong bond of young professionals through career guidance and mentoring opportunities with senior and C-Suite ACCA members. “With these two programmes in place, ACCA, together with our students ambassadors and young members, have the opportunity to make a lasting difference to the next generation of young professional accountants, and to develop future leaders that Malaysia needs,” he said. Universiti Sains Malaysia (USM) student Kooi Shiu Lun, 23, said the programme will allow him to build his connections with professionals in the industry. “By joining events organised by ACCA, I also hope to brush up my interpersonal skills and build networks with potential employers,” said the final-year accounting student, who is also taking his ACCA exams. For Universiti Teknologi Mara (UiTM) student Nurshahifah Jalil, 22, the programmes will help her gain insight as she plans to pursue the qualification after graduating. “While mixing with the student ambassadors, I learned about their journey in studying accounts. I also look forward to developing soft skills to enhance my employability,” she said.